If you have always been thinking that biofuels are not a good idea, this book by Mario Giampietro and Kozo Mayumi will tell you exactly why. Debates are always a learning experience, this one was no exception. One of the things I learned is that technocrats are just politicians who don't have to worry too much about their constituency. As politicians, their instinct in the debate is to go immediately for the personal attack; it is a strategy honed to perfection through thousands of years of political debate. My opponent applied it without worrying too much about the contradiction implied in accusing me of being on the payroll of the oil industry - think that I have spent the past ten years preaching the arrival of peak oil! Another thing that I learned from that debate is how, by now, the biofuel industry has become so big that it is already politically incorrect to speak in public against biofuels. If you do that, you are bound to take plenty of flak; which is what happened to me. 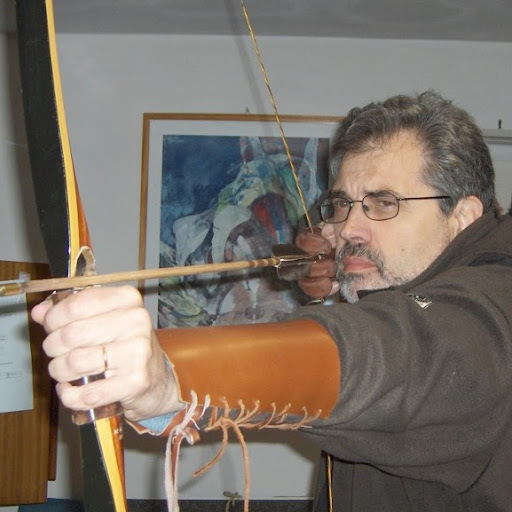 If you want to survive this kind of attacks, you must be very well prepared on the subject. For this purpose, you may find a lot of help in the recent book "The Biofuel Delusion" by Mario Giampietro and Kozo Mayumi. If you are unsure about why exactly biofuels are the disaster that they are, this book will explain to you that on the basis of a rigorous analysis and plenty of data. It is unfortunate (actually, it is a scandal) that it is so expensive; almost 70 dollars for a copy. But if you are engaged in the energy debate, it is a good investment. Biofuels are a complex matter and Giampietro and Mayumi use almost 300 pages to eviscerate it in all its aspects. The main point of their analysis is based on fundamental physics: the efficiency of photosynthesis is low and the result is that the areas needed for cultivation are large. If we are thinking of amounts of biofuels comparable to the present needs for transportation, the task is simply unthinkable: there would be no space left for food production. As the authors flatly state at page 128 of the book, "Full substitution of fossil energy with agro-biofuels is impossible." The large area needed is only one of the problems with biofuels. More in general, agriculture is a good technology for producing food, but it is terribly expensive in terms of the resources it requires. It needs land, water, fertilizers, pesticides, mechanical work; all supplies that normally come from fossil fuels. Taking all that into account, the EROEI (energy return for energy invested) of biofuels is generally low; unless the invested energy is supplied by low cost human labor, as it is the case for Brazilian sugar cane. Apart from Brazil, the need of an energy subsidy in the form of fossil fuels makes biofuels unable to deliver their promise of being a "sustainable" technology. They can't help us in reducing our dependency on fossil fuels nor in reducing the emission of greenhouse gases in the atmosphere. Of course, the biofuel story is more complex than that and Giampietro and Mayumi examine the whole spectrum of possibilities in their book. Are there better biofuels? Or, perhaps, ways of using the present form of biofuels in a more effective way? Yes, of course; there is the promise of "second generation" fuels (cellulosic ethanol) and the possibility of cultivating marginal areas, unsuitable for food production. But the physical factors of the problem don't change much and, right now, biofuels and conventional agriculture are already competing for land and resources. One of consequences may be the increase increase in food prices that we have been seen during the past few years. In the end, what do we want to do, exactly, with biofuels? Do we really think that the way to solve our energy problems is to use an inefficient technology to support an already inefficient transportation system? The only explanation I can think of for so much emphasis on biofuels is that, once a bad idea is implemented, it starts to gain momentum and then it becomes nearly impossible to stop. At this point, you may wonder how the debate with my technocratic opponent ended. Well, I was tempted to use his own tactics and accuse him to be on the payroll of the biofuel lobby. But I am not a politician and I didn't do that; also because I saw that it was not necessary. If you have some experience in speaking in public, you soon develop a sixth sense about what your audience thinks. In this case, it was clear to me: the audience was with me, not with my technocratic opponent. They just didn't buy the idea that biofuels can solve the world's fuel problem without starving anybody - to say nothing about the idea that globalization will make the Brazilian peasants rich. Did he sense that, too? I can't say. A few months later, he got an even higher level position in the new "technocratic" Monti government in Italy. * By the way, the recent abolition of the government subsidies on corn ethanol in the US is probably a good thing, but it does not at all end the government support on biofuels, as you can read in this interesting article by Mike Sheldon on "The Oil Drum." Note, in particular, that the abolition of subsidies comes together with the abolition of the tariff on ethanol imports from Brazil and that could make ethanol cheaper than it was with subsidies! And it remains to be seen how that will affect the Brazilian peasants. See also: The Earthscan's page on "The Biofuel Delusion"
Despite of the very low EROEI these dramatic changes are going to have brutal consequences on human and animal food and on the required long term stability of agricultural markets. The recent cut in subsidies to ethanol production (6 billion US$) is another dramatic sign of how fast things can change in agriculture. And the gigantic level of implications in the world production of food. I have recently flown over Southwestern Brazil, across Bolivia and Northwestern Argentina and I have been very impressed by the gigantic industrial farmlands (large square fields) along approx. 1,000 Km, very likely with soja crops and other plants probably for export and probably in some important, undetermined part for biofuels. What are we doing? Yes, I follow the blog "Do the math". Tom Murphy is doing an excellent job there. As an agricultural scientist I can endorse your basic points. Different understanding is needed for biofuels and biomass, though the low net energy yield is a factor for both. My presentations focused on the UK where large scale use of either types of bio-energy means large scale imports. For example, Scotland grows brassica oil seed very well indeed, but the (total theoretical) maximum possible output would provide only about 5 or 6 percent of Scotland's diesel (or 2 or 3% of total transport needs). This would be a completely impractical monopoly use of the crop in any case. The very real refinery capacity proposed, however, needs very large imports to justify the investment. Similarly we are seeing dedicated power stations planned in the UK that will be fuelled by imported biomass in the form of unrefined vegetable oil - mostly palm oil from the tropics. Others will burn imported wood chip. In my view, we can sum up biofuel/biomass expansion as a very effective additional means by which our industrial civilization, (still essentially a minority part of the world) will trash the planet on its way out. One campaigning organization of environmentalists who have 'seen through' the politically correct nonsense is http://www.biofuelwatch.org.uk and they provide a running update of news items. And biofuels, in the US in particular, are also the perfect example of why subsidies are in general a very instrument for managing our current energy mess (and economical mess in general), except let's say on R&D. Indeed for subsidies, you need the starting point : "this is a good solution, we must do it", and usually aimed at alternative production instead of conservation investments. Volume based taxes on the other hand (on fossile fuels in particular) : you don't need such a starting point at all, and you just leave the definition of "what makes sense" to the market, be it on alternatives or on conservation. Besides, subsidies in fact also often favors the rich more than the poor, take tarrifs on photovoltaic electricity for instance, for sure it's more rich peaople with a house and a roof to put PV on that will benefit from them, more than poor people leaving in public flats housing. We really should stop thinking in terms of "solutions", and adopt measures that just "push in the right direction". For sure "volume based taxes" also impact the poors more than the rich. For 1) clearly the right policy is volume based taxes. But the proper "vector" should be from taxes on revenu and capital revenu in particular. The more it goes, the more I think European directives such as "20% renewables target for year n" and things like that, are really totally stupid. We should consider the starting point which is the current mix with a huge fossile part, and the right way to push changes would be to increase volume based taxes on fuels, full stop. "are in general a very instrument"
to be read : "are in general a very bad instrument"
One point the biofuel bashers never address is how do you expect to produce all the food for over 7 billion people without the liquid fuels to run all the equipment to run a farm, process the crops, and transport the food to market? Only a fool would think that petroleum can be replaced in its entirety with biofuels, but if we don't produce at least some biofuels, what is going to become to all the equipment that is so vital to producing all the food for over 7 billion people. This is an agricultural version of the issues raised by the Hirsch Report. It will decades to transition a different method of producing food without using petroleum. Why is it those who spew all the vitriol against biofuels never address this issue? Ugo - there is a large and critically significant resource that appears to be ignored by this book - namely coppice methanol. Methanol was first traded as a commodity in the UK back in 1684, being produced as a co-product of charcoal at about 2% conversion of feedstock by weight. The use of the out-of-patent F-T process with a nickel based catalyst can now convert over 60% by weight. The costs - for very large facilities - are comparable with current oil prices, and efforts are in hand for minaturization for the rational village-scale facilities. Native species coppice is exceptionally benign ecologically (holds the highest biodiversity of any European ecosystem), and it provides full-term rural occupations en masse, and it can be used anywhere in the world where trees grow well to yield a large finite annual harvest, and it can be established on degraded lands particularly as buffer-zones and connectors around threatened old forest enclaves. In short, if done well, coppice methanol is a uniquely benign souce of liquid fuel. For all methanol is of a lower energy density than ethanol (still about ten times that of the best batteries) it is exceptionally clean burning and far less prone to causing vehicle fires than petrol. It is also usable in IC & EC engines, and gas turbines, and Direct Methanol Fuel Cells. It is also readily converted to diesel or petrol derivatives. The essential global production of biochar as a means of soil-moisture regulation and fertility, and critically for carbon sequestration, demands very widespread planting of coppice on non-farmland as the charcoal's feedstock resource. A modern charcoal retort is exothermic (uses only surplus process heat), provides ~35% charcoal by weight of feedstock, with about 28% of the wood's energy potential released as a crude syngas. (i.e. worth ~ 1,400KwHrs /tonne dry wood). The conversion of that co-product syngas to methanol is thus a potentially widely applicable new decentralized industry for many nations. Commercially, coppice methanol is the Cindarella of the sustainable energies, and has long been overshadowed by the ugly sisters of grid-powered electric cars and the ever-five-years-hence cellulosic ethanol and algae-oil. I gather the latter still needs a 90% cost reduction to be competitive even with ruinous $100 oil, and the patent-licence-fees will be beyond the wallets of any but wealthy countries). I'd urge you to explore this field with a view to correcting the delusion that "Biofuels are a bad idea", and to exposing just why a liquid fuel resource that can be produced wherever trees grow well, and wherever farmers have surplus biomass, has been kept out of the public view for the last half-century. Bill, there is nothing wrong in making methanol or ethanol with agricultural residuals. I am sure that, in some cases, it is economically convenient. Surely, our ancestors made plenty of ethanol from agricultural sources and they enjoyed it a lot! That subject is amply covered in Giampietro and Mayumi's book. The problem is on a wider level: what do we want exactly to accomplish with these fuels? In terms of abundance, it remains an extremely limited source - so, as long as this point is understood, it is OK; we have some residuals which are worthless, we convert them into methanol, we burn it. Fine, no problem, here. 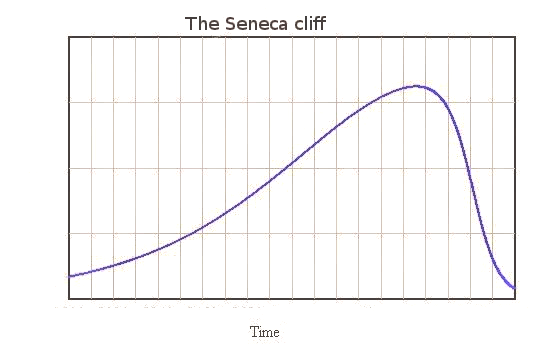 The problem is that our economic/political system works in a self-sustaining increasing feedback mode. Once you start producing biofuels, the market becomes a hungry beast which roars for more. Then, you have created a monster that won't stop at eating coppice. 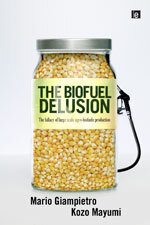 It is THE problem with biofuels - it is not that you can't make biofuels, but that you can't stop making them! Ugo - I guess you know as well as I that if we don't achieve stringent global regulation for the conservation of native forestry, as one part of an equitable and efficient climate treaty, then we will face climate impacts and suffering on a scale that few can envisage. (The general dieback and combustion of global forest cover would be just one great sorrow among many). Your claim that 'We cannot stop making biofuels once the market demands them' rests on the assumption that the necessary effective regulation is unachievable, which surprises me in its defeatism. The Monbiot fallacy of deriding an option on grounds that it might be done badly is scarcely a reasonable position in discussion - how about making a cup of tea ? Or babies ? Or making a living as a journalist ? It's plainly nonsense. We have to do our best and legislate the necessary regulation to respect the ecological limits. The potential scale of biochar production rests on farm biomass surpluses and the 1.6GHa.s identified by WRC & WFN as available globally for reforestation without impacting farmlands. Given that we are already committed to intensifying climate destabilization until ~2050 due to pollution outputs to date, and to likely another 40 years thereafter due to the timelagged warming from our phasing out of GHGs in the coming decades, the probability of climate destabilization causing global famine is pretty stark. Afforestation for biochar is our best sustainable prospect of maintaining global farm yields - and for sequestering perhaps 5Gt/yr of carbon from the atmosphere, which equals about 2.4ppmv of CO2, and it is thus arguably of paramount strategic importance. In this context the relevance of coppice methanol is that it provides a third potential income stream to help maximize the development of biochar's farm yield support and carbon sequestration. In terms of liquid fuel supply the co-product syngas from charcoal production could not supply more than around 10Mbs/day off 1.6GHa.s of native coppice for biochar, plus an increment from whatever farm biomass is available. But for those nations who have no prospect of affording liquid fuels in the coming years, their part of that liquid fuel production could be the difference between utter collapse and viable subsistence. So for these several reasons I reckon you should think again about disparaging the prospects for widespread methanol production from coppice forestry. For a start, see if you can identify any other options offering triple benefits of the significance of the three described above - let alone the vital rural livelihoods gain and the massive ecological boost from coppice forestry's exceptional habitat value. Unlike natural ecosystems where one point's waste is the next point's resource in closed cyeles, biofuels deplete the soil. Your rather hasty generalized assertion devalues a valid critique. Some biofuels, such as corn ethanol, usually deplete soil fertility. Other biofuels, such as coppice methanol, enhance soil fertility both directly though leaf fall and potentially through the distribution of its biochar co-product. The urgency of our predicament demands more careful discrimination in evaluating the options, not less. Thanks for these links: interesting. Traditionally, sugarcane has been harvested and processed by hand in Brazil, and the EROEI calculations which give a reasonably good refer to this production method. But things change all the time..... evidently. The Limits to Growth at forty: Is collapse now inevitable? Has anything changed, and have we managed to divert from the path towards collapse in the intervening forty years? Pause and think about this for a second. It doesn’t take a lot of analysis to realise that little has changed since the first publication of The Limits to Growth. Our economic system is still entirely dependent on the need for long term economic growth to survive, our food, economic and social structures are less resilient than ever before, the effects of Climate Change are becoming more prevalent with increased natural disasters, and we are teetering on the brink of global peak production of oil, the very life blood of our globalised, growth dependent system. 30 Storey Building In 15 Days! The highest point of the rollercoaster! Una curiosità il tecnocrate in questione è l'attuale Ministro dell'Ambiente? And does this book acknowledge biofuels produced from algae? Especially fast growing, salt-tolerant species that can be grown using CO2 waste from factories, and/or waste water from farms? In addition, algae can be grown in arid lands where food types can not be grown, and have a rapid turnover rate for production. Admitted, there is still much development to be accomplished in all areas of this field. Biofuels cover such a wide spectrum of possible sources, it seems ignorant to say that they are all inefficient and that they always will be. Thoughts?